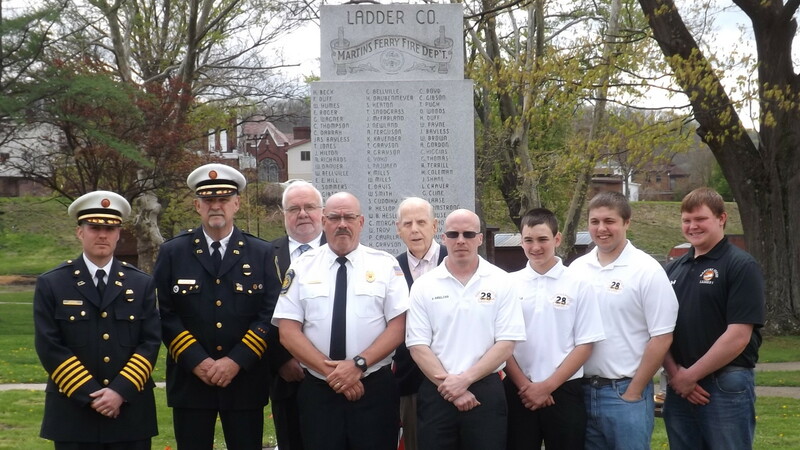 The Martins Ferry Fire Department’s Annual Memorial Service took place on Sunday May 4th. 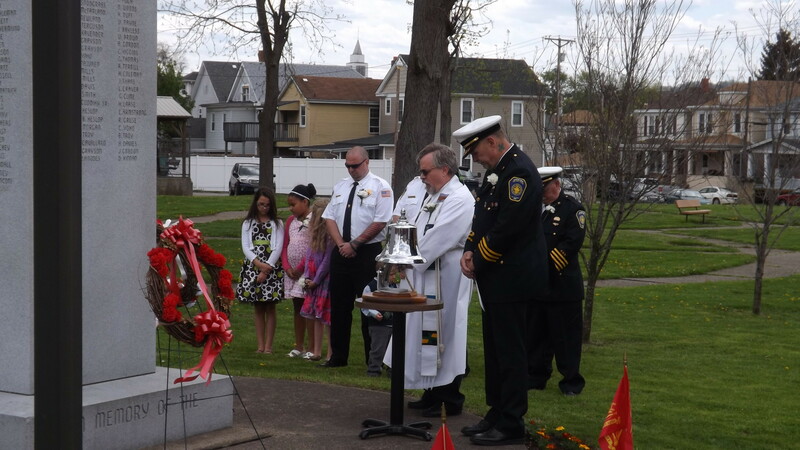 ?The service, which rotates between all of the churches in the city, was held at St. John Lutheran Church with Pastor Philip Van Dam officiating. 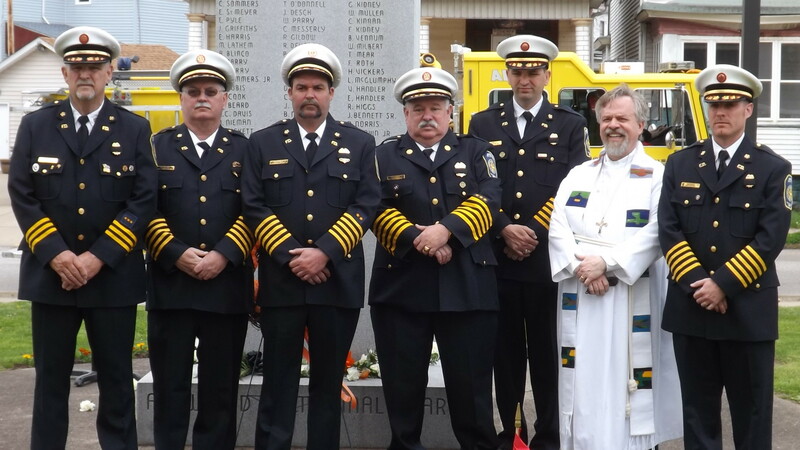 After the church service, department members proceeded to the City Park for a brief service in which the names of the deceased firefighters were added to Fire Department Memorial Monument. This portion of the ceremony also included the laying of memorial wreaths and flowers at the foot of the monument. The names of the departed firefighters were read by former Chief Terry Wildman as bagpipes were played by Betsy McFarland. 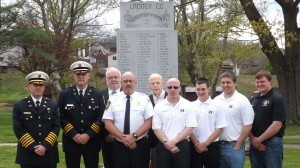 ?The names of the all deceased firefighters are listed under the company?in which they served. ?The four companies are: The Alerts, The Liberty, The Vigilants, and The Ladder Company. 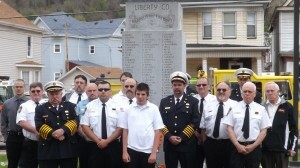 A luncheon was held after the services at the Liberty Engine Company. ?